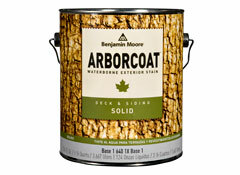 Apply sodium hydroxide wood stripper to remove old coatings if needed. We will use a low-pressure to remove the previous coating and any dirt on the deck, high pressure damages the lignins in the wood. We typically use between 1200 and 3300 psi (different tip sizes) on the deck depending on the previous coatings and how strong the chemical is used. 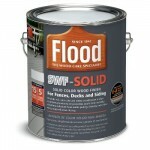 Step 3 – Make wood repairs and replacements. 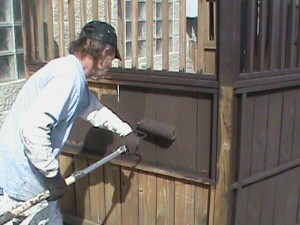 Replace rotted or damaged wood. We rinse the working area prior to brightening the wood, then we apply a Wood brightener that restores the wood back to it’s original color. The wood brightener also neutralizes the chemical stripper that was used in step one. We let the deck dry out for 18-48 hours depending on the conditions, humidity and if the stain used is oil or water based. 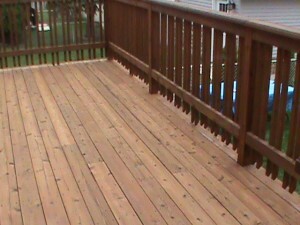 We sand the deck if necessary and always sand the hand rail with orbital sanders to insure you don’t get slivers. 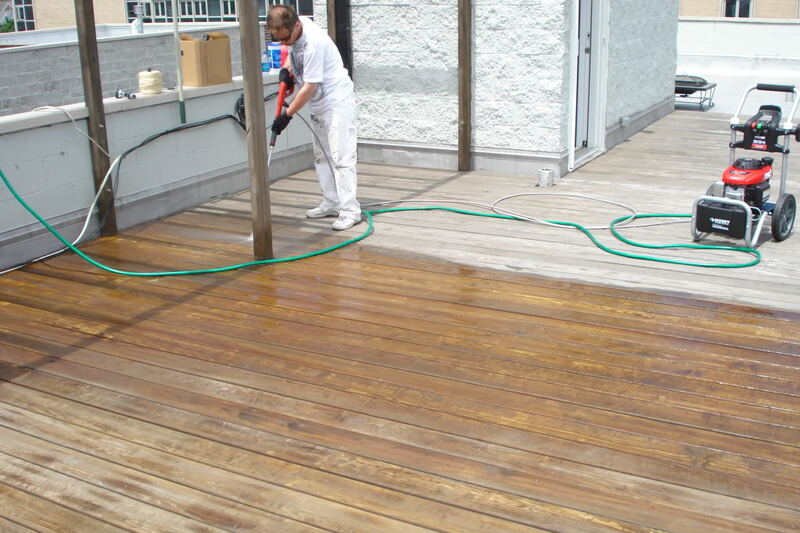 We apply the necessary coats of stain/sealer by roller or sprayer and always back brush the stain carefully we also make sure extreme care is given so no stain gets on anything but the deck. We only apply necessary coats to the verticals. 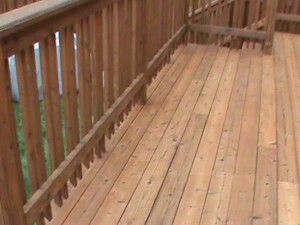 You want to stay off the deck for 24 hours after the deck has been completed. 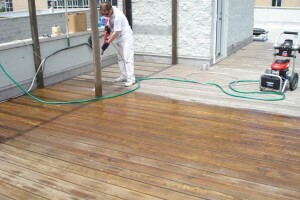 Deck stripping of old stain & sealer may be required prior to Deck Staining in Chicago. 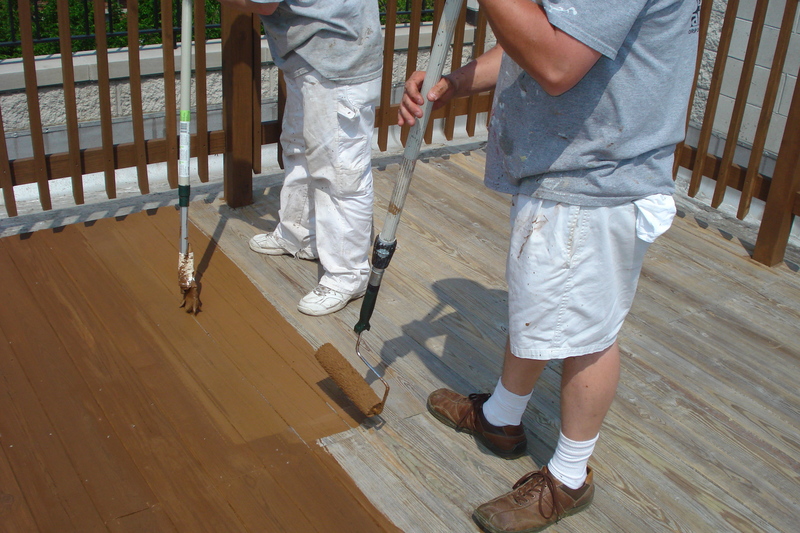 Your deck staining quote will be exact, detailed and include written explanations of the different stages in staining necessary for your deck to look great and last a long time.